Tucson National Golf Club has 2 courses. The club is on the grounds of the Omni Tucson National Golf Resort & Spa. 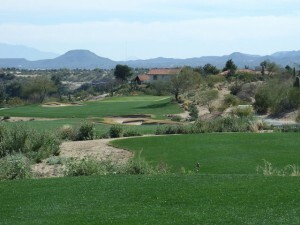 The Catalina course at Tucson National Golf Club was home for the Tucson Open. Wide fairways, trees and greens as smooth as pool tables are the norm. One reason why 20+ Under par was very common. The second course at Tucson National Golf Club is a desert course. Sonoran requires “Far & Sure” tee shots. The Sonoran course also demands precision irons to the greens. Narrow fairways and elevation changes make this a demanding layout. Streets in the Tucson National golf community are named for professional golfers. Many have walked the fairways and battled for the Tucson Open trophy. Some of the players honored include Hogan, Nicklaus, Palmer, Player, Trevino. Homes at Tucson National Golf Club will meet many interests. Homes range from golf condos to luxury golf villas and single family homes. There are many Townhomes for sale Tucson National golf club to see. Interested in Tucson Townhouses near Tucson National OR Golf Course Homes For Sale? We Can Help! Questions about Tucson Homes, the Tucson Real Estate Market or Tucson National Golf Homes for Sale? Call Us 866 316 5575 OR complete the CONTACT FORM and we will get right back to you! The Catalina course is far and away the most well known. Here are a few facts about the Catalina Course.